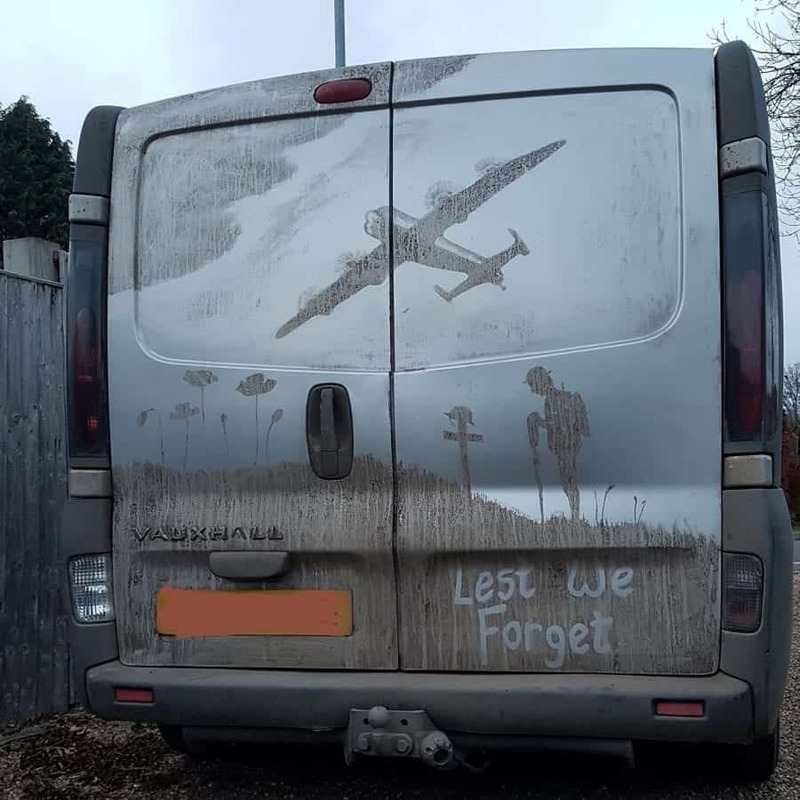 A stunning memorial to Britain’s war heroes has been created – on the rear of a muddy van. Creative Shaun Harvey, 34, used his fingers to create a remarkable montage in the dust and dirt on his van’s rear doors. His creation features a First World War soldier, five poppies and a Lancaster bomber. 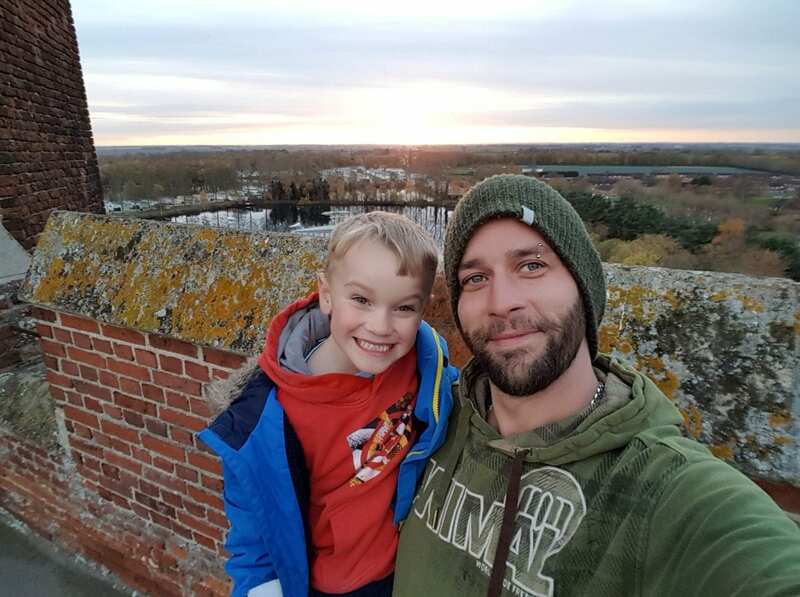 He was inspired by his six-year-old son Zak, who asked him to draw something relating to “poppy week”. A self-employed gardener, Shaun spent an hour and a half working on the drawing and wants it to remain in place until the centenary of Armistice Day on Sunday. He purposefully drove his Vauxhall van through muddy puddles so that the back got covered in dirt. Once it was fully coated Shaun consulted with Zak about what to draw and then set to work. Shaun, from near Boston, Lincs, said: “The picture is just drawn out of mud on the back of my van. “I just worked on it bit by bit and eventually ended up with something that’s pretty good. “I did it for my little boy who has been saying that it’s ‘poppy week’ all week. “We live right by RAF Coningsby and so we see the planes going overhead, sometimes Lancasters even fly over. “There’s a lot of farms and fields where I live and I spent lots of time driving on back roads,” Shaun said.